Jenkins Elite is proud to announce another training location in Arvada, Colorado. 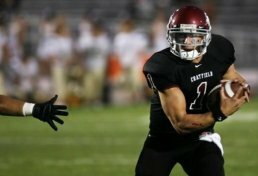 For too long Arvada athletes have been left underserved and uncatered to. Starting on May 5th, we will change that by opening our doors and getting on the field immediately. You can reserve your spot with the Jenkins Elite Arvada program starting RIGHT NOW, just click the button below to learn how. 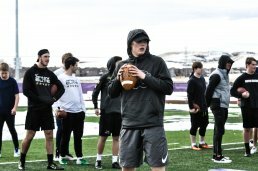 Spots will be capped at 50 Quarterbacks, youth and high school to start, with room to expand in the near future. 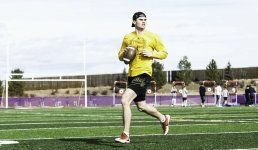 With the new Jenkins Elite Quarterback training location, athletes from Arvada, Boulder, Fort Collins, and all of the surrounding areas will be able to get the same world-class training that our Parker location has supplied for the past 5 years. We are equally excited to announce our new team member and Quarterback director of the Arvada training location: Sam Stratton. Coach Stratton grew up in the Arvada area and played football at Chatfield High School. He then went on to play Division 1 football at the University of Wyoming. After coaching at his alma mater for 2 years, Sam Stratton joined the Jenkins Elite team. Coach Stratton will be heading up the Arvada location starting May 5th. THE JENKINS ELITE SYSTEM WAS DEVELOPED IN 2015. SINCE THAT TIME, JENKINS ELITE ATHLETES HAVE HAD TREMENDOUS SUCCESS. Maverick Reed is the Director of Sales & Marketing for Jenkins Elite. Jenkins Elite is the country's premier authority in football development for youth, high school, collegiate, and NFL players.